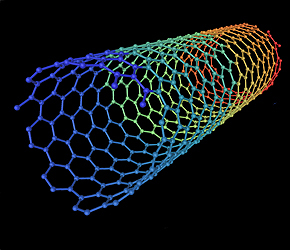 The Nano-Dev project aims at understanding how nanotechnology can contribute to development. By investigating how people deal with nanotechnology in Kenya, India and the Netherlands, the project will flesh out appropriate ways for governing nanotechnology for development. Early engagement of developing countries in nanotechnologies is important to avoid that this new field of research deepens the global divide rather than helps bridging it. Nanotechnologies have a huge potential because of their generic nature, with applications in health, agriculture, water purification, energy, and manufacturing. They may, however, also entail serious risks for health and social cohesion. This project contributes to a framework for democratic governance of benefits and risks that will help to make nanotechnologies beneficial for development. The project is integrated and symmetrical: Indian civil society organisations’ active engagement with science and technology is as important an input as recent Dutch developments on risk governance and African experiences with stakeholder involvement. The focus on risk governance is grounded in an analysis of cultures of innovation, linking the use of science and technology to a style of development that is ecologically, politically and culturally sustainable. The first founding idea of this project is that developing countries should not be denied participation in advanced modern technologies; the second that they should do that in their own culturally-specific ways. Our approach rejects any a priori distinction between traditional and modern technologies, but rather seeks innovative ways to connect indigenous and globalized knowledge and practices. The third core idea is that such developments entail risks and benefits that need to be addressed from the beginning. The fourth founding idea is that choices about those benefits and risks need to be made in a democratic way. Stakeholder consultations have led us to choose nanotechnology domains (water, health and energy) that potentially contribute to the realisation of MDG’s. In the selected domains we will not study “lifestyle accessories” that make the headlines in glossies, but applications that are relevant for the masses in developing countries: new materials for water purification filters, new materials that translate and enhance indigenous technologies (e.g. of pottery makers in Kenya), new solar cells, and new diagnostic tests and drug delivery systems that enable less costly public health campaigns for vaccination and cure. The project is built around symmetrical learning between the partners: north-south and south-south. Beumer, Koen. 2012, April. Nanotechnologies for development. Towards a framework for democratic governance of risks and benefits in the global South. NANO-DEV Policy Brief (1) – link. Beumer, K.. 2012. “A matter of scale: the visual representation of nanotechnologies.” Spontaneous Generations: a journal for the history and philosophy of science, 6 (1): 65-74. http://spontaneousgenerations.library.utoronto.ca/index.php/SpontaneousGenerations/article/view/16139. Jayanthi, AP, Koen Beumer, and Sujit Bhattacharya. 2012. “Nanotechnology: risk governance in India.” Economic and Political Weekly, 47 (4). Bijker, W.E. 2011, January 13. “None said ‘There are risks, so let’s stop it’”. The Hindu – link. Bijker, W. E.et al. (2007). A response to ‘Nanotechnology and the need for risk governance’, O. Renn & M.C. Roco, 2006. J. Nanoparticle Research 8(2): 153-191. Journal of Nanoparticle Research, 9(6), 1217-1220 – link. In 2011 the Nano-dev project organized a workshop in Nairobi. On this occassion two of the project leaders, Wiebe Bijker and Kevin Urama, were interviewed by NTV, a leading Kenyan television station.